Currently more than 100,000 patients undergo blood and marrow transplantation (BMT) annually worldwide, a number which is steadily increasing. Long-term survival after BMT has improved significantly since its inception over 40 years ago, due to improved supportive care and early recognition of long-term complications. With broadening indications, more options for BMT, and improvement in survival, by 2020 there may be up to a million long-term survivors after BMT globally. Higher than average rates of second malignancies and cardiopulmonary, infectious, endocrine, and renal diseases, and bone loss or avascular necrosis amongst this population suggest that the rapidly swelling ranks of BMT survivors require more frequent screening and earlier interventions than the general population. The purpose of Blood and Marrow Transplantation Long-Term Management is to describe practical approaches to screening for and managing these late effects, with the goal of reducing preventable morbidity and mortality associated with BMT. 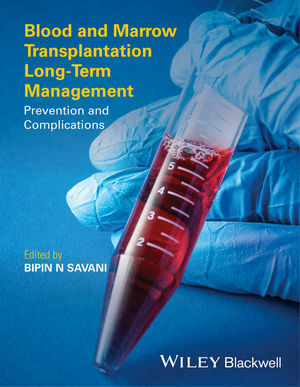 This unique new book is the first to address the needs of the increasing population of long-term survivors after stem cell transplantation, making it a must-have resource for all oncologists, hematologists, and primary care physicians involved in the long-term management and care of BMT patients.